Steel or composite, colorful or fading into the background, in plain sight or hidden in a storage area, industrial racks and shelving silently hold everything from bobby pins to Boeing engines. IndustryNet studied 217 industrial rack and shelving companies throughout the U.S. and found a growing, vibrant industrial sector. Last year, the industry employed 9,162 individuals. This year, it employed 9,562 workers, representing an increase of 4.37 percent year-over-year, according to IndustryNet's report How U.S. industrial shelving manufacturers are innovating for safety and growth. One likely reason for this increase is the changing the face of warehousing and supply chains industrywide. The stunning rise in e-commerce produced dramatic change in how companies store and ship materials. Warehouses are more automated than in days past, making shelf space and design critical to the operation's bottom line. Because brick and mortar stores must compete with e-commerce, they too need to utilize their limited space wisely. Window displays and rack designs must show off clothing and other goods to their best advantage in order to entice customers inside the store to purchase merchandise. 1. Based in Chicago, Illinois, the Edsal Mfg. Co., Inc. employs 800 individuals dedicated to providing companies with high-quality industrial shelving and furniture. Capturing a large market share throughout the U.S. with their durable steel products, Edsal offers customers everything from storage lockers to bulk storage racks. 2. What began in 1956 as a small, family-owned business in Goodwater, Alabama, Madix, Inc. has grown to employ 500 people in its original location and includes a total of 2.3 million square feet of production space. Using computer-automated order and tracking systems in their own facility, Madix designs the fixtures and racks that complement the fashion designs seen in prominent retail stores. Still community oriented, Madix recycled 100% of the scrap metal resulting from its manufacturing processes. 3. With all of its products designed and engineered in the U.S., Middle Atlantic Products, Inc. in Fairfield, New Jersey, keeps 490 Americans employed on site. Providing support and protection products to mount audio visual systems, Middle Atlantic Products prides itself in its dedication to quality and utilization of the latest technology. 4. Still family-operated after more than 60 years in business, the Lozier Corp. has its roots both in Scottboro, Alabama, where it employs 475 workers, and in the small retail shelving sector. As the retail sector grew, so did the company, supplying the needs of the automotive, hardware, sporting goods and other stores. Lozier still works with its clients as individuals, though, providing innovative and attractive solutions designed specifically for their needs. 5. Intermetro Industries Corp. in Wilkes-Barre, Pennsylvania, has the sole mission to make the world more organized and efficient. The company's 403 employees specialize in the health care, food service, industrial, laboratory and grocery sectors. Intermetro's products are not only efficient, durable and functional, but they are also environmentally conscious. All of their American steel products are made from recycled stainless steel, and the company recycles 78 percent of its excess materials. 6. For over 60 years, UNARCO Material Handling, Inc. in Springfield, Tennessee, has kept its 360 employees dedicated to engineering and building roll-formed and structural pallet racking and warehouse storage systems. All systems meet and exceed the most stringent industry standards, including strict adherence to Rack Manufacturers Institute, Inc., compliance. The company also remains committed to environmental standards, with its materials, technology, air quality, energy management and recycling programs. 7. Lyon, LLC puts its 117 years of experience in building storage solutions, cabinets and shelving to work for each of its clients. Based in Montgomery, Illinois, 300 employees manufacture organizational systems that maximize workspace storage. Additionally, Lyon offers a lifetime warranty against any defects in the material or the craftsmanship of its products. 8. 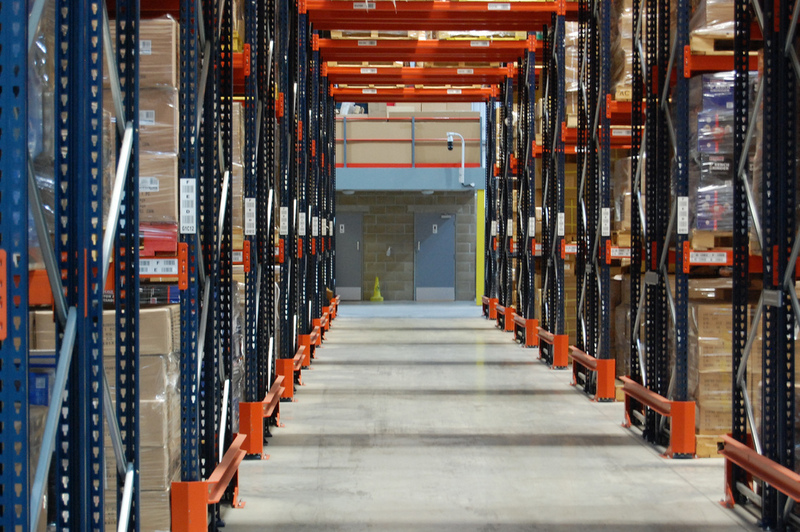 Serving the growing e-commerce market as well as the cold storage, beverage and grocery, retail and pharmaceutical markets, Elite Storage Solutions, LLC understands the science of warehouse storage management and its importance to the supply chain. With 210 employees based in Monroe, Georgia, Elite serves markets as far flung as South America and the Caribbean in addition to North and Central America. 9. Interlake Mecalux, Inc. ranks third in the world in its field, selling its products in more than 70 countries. With 200 employees based in Pontiac, Illinois, alone, Interlake specializes in manufacturing steel racking, warehouse automation, warehouse management software and other warehouse storage products. The company's strong investment in research and development helps keep it a world-leading organization. 10. Two production plants in North East, Pennsylvania, enable Ridg-U-Rak Storage Systems, Inc., to produce more than 100,000,000 pounds of storage racks with only 200 employees. Known best for its American Welding Society-certified welders shaping the roll-column design, Ridg-U-Rak's storage systems are durable yet lightweight. Even the powder coat paint system resists chips and scratches yet remains environmentally friendly. In addition to its in-depth industry analyses, IndustryNet provides invaluable information for your business, utilizing its database of over 400,000 U.S. manufacturers and suppliers of 10,000+ products and services. Turn to IndustryNet for your next partner, supplier or quote and join its vast network of U.S. manufacturing companies as a resource. Whether you are searching for industrial shelves and racking or virtually any other type of product or service, you can contact a company directly, connect with them on social media or simply request a list of suppliers in your area. Related Companies: Edsal Mfg. Co., Inc., Elite Storage Solutions, LLC, Interlake Mecalux, Inc., Intermetro Industries Corp., Lozier Corp., Lyon, LLC, Madix, Inc., Middle Atlantic Products, Inc., Ridg-U-Rak Storage Systems, UNARCO Material Handling, Inc.